Order - Discard a card from hand to begin combat involving this personnel, comparing total Cunning instead of Strength. 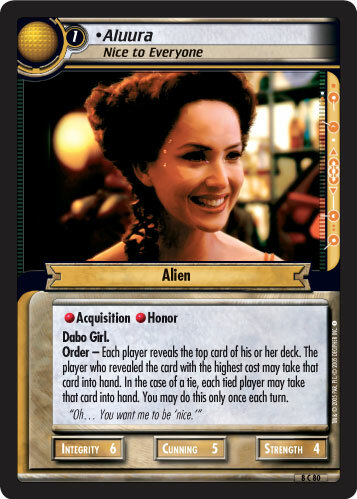 If you win, randomly select an opponent's personnel involved to place on the bottom of his or her owner's deck. 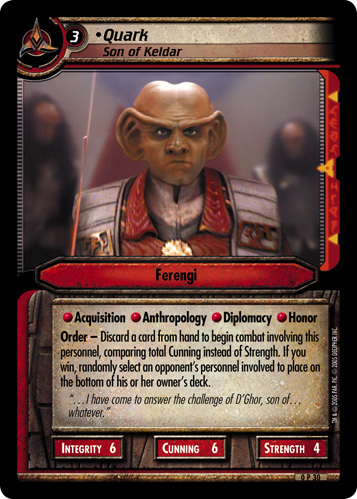 "...I have come to answer the challenge of D'Ghor, son of... 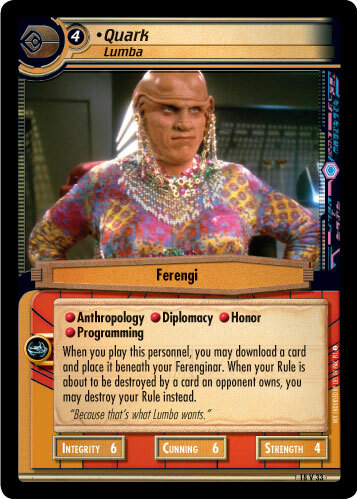 whatever." 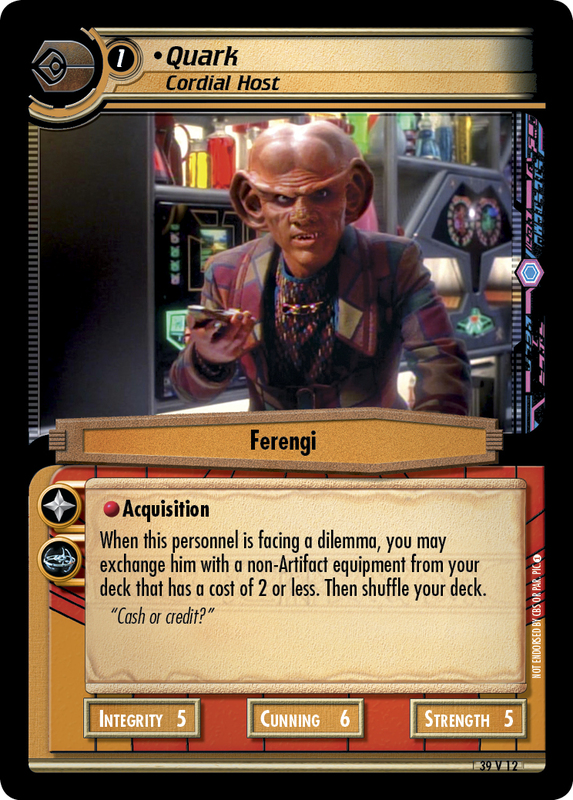 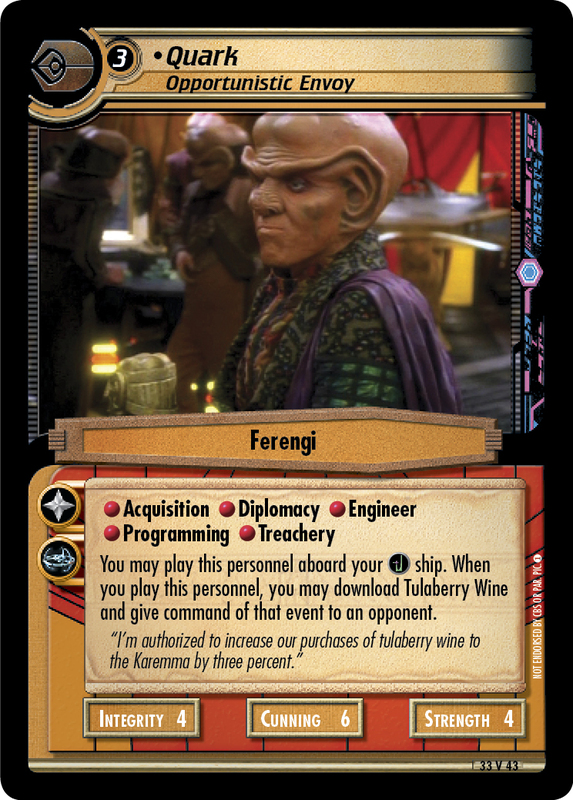 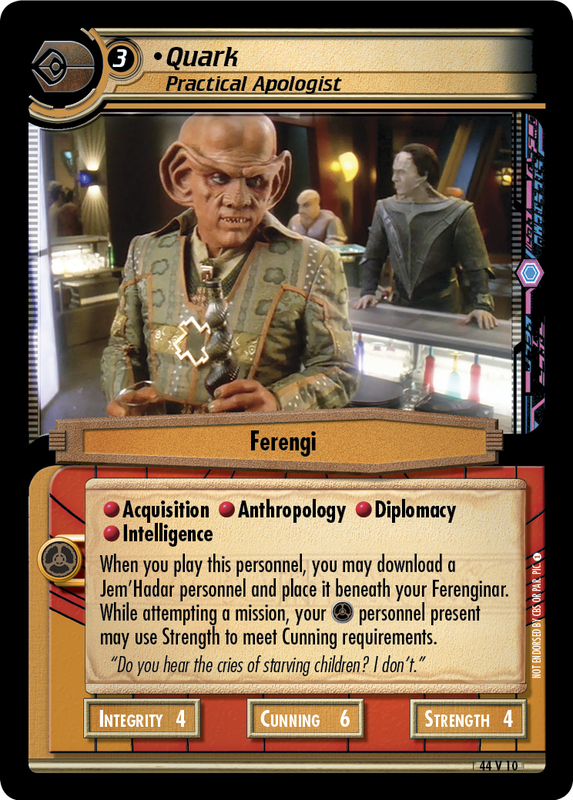 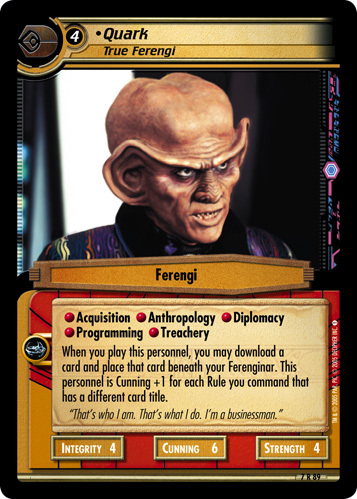 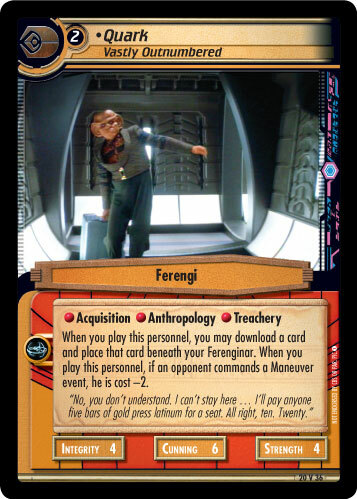 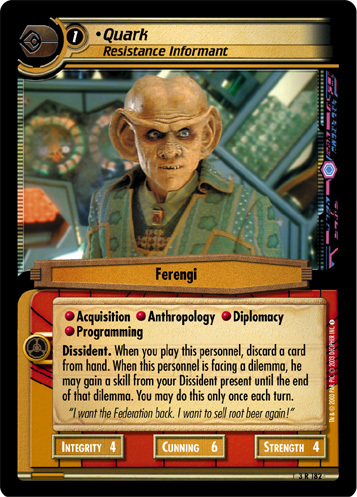 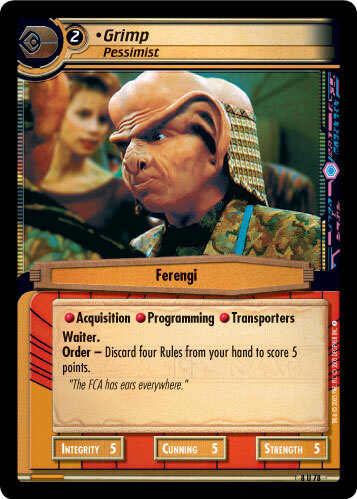 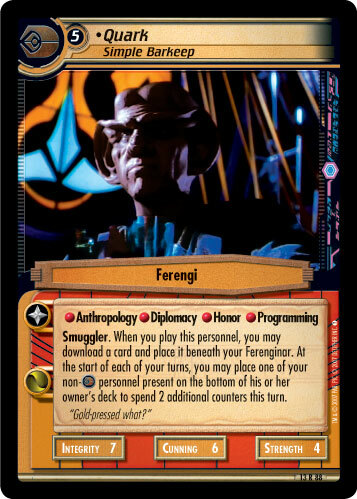 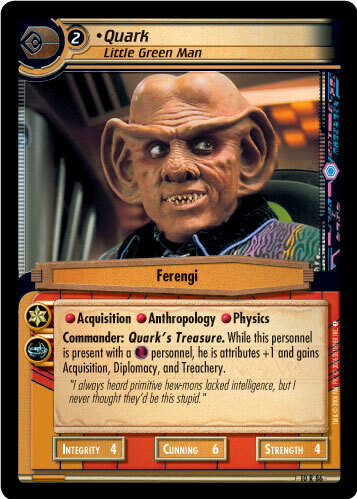 Image Source: Deep Space Nine: "Looking for par'Mach in All the Wrong Places"